Reduced! Escalade has been INSPECTED, SERVICED & DETAILED including NEW BATTERY, OIL CHANGE, NEW ALTERNATOR, NEW SERPENTINE BELT & RECENT NEW PIRELLI TIRES!! 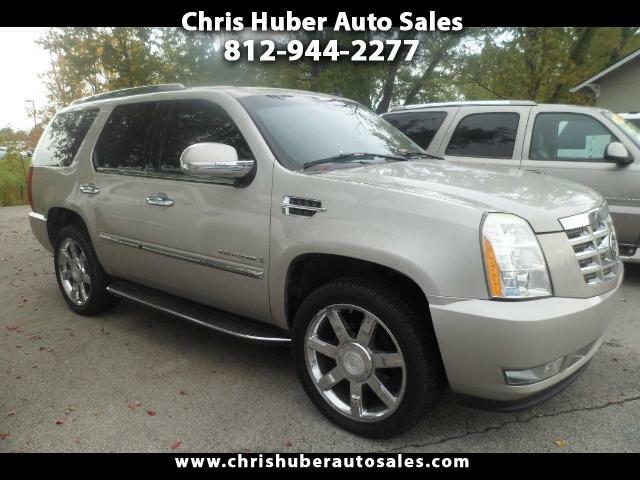 22 Inch CHROME WHEELS, SUNROOF, NAVIGATION, All Wheel Drive, LEATHER, DVD, BACKUP CAMERA& SONAR, HEATED FRONT & 2nd Row SEATS, 2nd Row CAPTAINS CHAIRS, 3rd Row Seating, WOODGRAIN! CLEAN CARFAX! IN GREAT SHAPE, RIDES & DRIVES LIKE A DREAM!! Beautiful, rarely found Pewter exterior with black leather interior! Call 812-944-2277, we would love the opportunity to earn your business! Come see why we have been in business over 13 Years with a reputation for Quality, Honesty & Value!! Voted Floyd County BEST USED CAR DEALER!